Ventura College announces the first annual Miriam and Henry Schwab Academy of Music – a highly intensive, three-week summer program of courses designed to develop & introduce chamber music & orchestral repertoire skills, attract advanced young artists and develop musicianship through many types of ensembles. Classes are scheduled June 17 – July 7, 2019 and focus on brass, keyboard, percussion, string, classical guitar and woodwind instruments. Application for admission to Ventura College is open now and registration for the Academy opens on April 28, 2019. Auditions to determine intermediate or advanced class placement are scheduled for June 13 & 14, 2019 from 2:00 – 4:00 p.m. at the Ventura College Performing Arts Center. Throughout the three weeks, students will study and rehearse alongside academy music faculty. Chamber and Orchestral performance will take place every weekend in Ventura Colleges Helen Yunker Auditorium. Performances are open to the public. 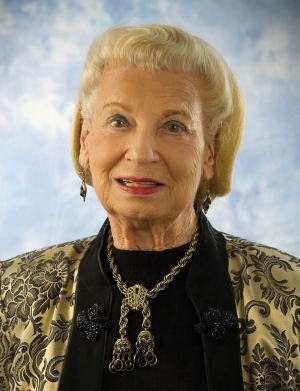 Miriam Schwab was a local philanthropist, a long-time Ventura College supporter and a gentle presence on campus. She was also a music lover who played the violin with the Ventura College Symphony Orchestra for over a decade. Henry Schwab, was concert-master of the Ventura Symphony and Mr. Robert E. Lawson was the associate conductor. Mr. Schwab was also a concert violinist who had begun violin study in New York at a young age. His talent prompted his parents to send him to Europe in 1924 to continue his training. After completing his education, he returned to the United States for a brilliant career as a concert violinist, concertmaster, and collector of instruments. He was also a dedicated violin and viola teacher who strove to instill in his students a love of classical music. Robert E. Lawson, Music Director/Conductor of the Ventura College Symphony Orchestra has been involved in many areas of music. As a composer, Mr. Lawson’s compositions have been performed throughout the United States. His Harp Sonata has received premieres at Florida State University, the XII Foro Internacional de Musica Nueva in Mexico City, and in Paris at the International Harp Festival. His String Trio was selected as one of the most innovating composition for the Ernest Bloch Music Festival. He has composed and performed several symphonic works over his career. In May 2018 was a premier of a new work for orchestra Symphonic Elegies. Mr. Lawson served as Music Director of the Santa Clarita Symphony for Seven years, was the director of the Ventura City Hall Concert Series for eleven seasons, was the founding Music Director/Conductor of the Channel Islands Chamber Orchestra for twelve seasons. He was Music Director/Conductor of the Santa Clarita Valley Youth Orchestra for eighteen years. Developed the International Youth Orchestra exchange program with the Harlow Youth Orchestra in London, England for over ten years. Began international talks with the Hangzhou International School in China, to have an exchange Youth Orchestra program. From 1981 through 1988 he served as associate conductor of the Ventura County Symphony, known now as the New West Symphony and was principle conductor of the Ventura Civic/Youth Orchestra. This will be his tenth season as music director /conductor with the Ventura County Ballet Company and its performance of Tchaikovsky’s the Nutcracker Ballet. Mr. Lawson has been guest conductor of numerous orchestras both here in the United States and Europe. Mr. Lawson is currently Department Chair of Performing Arts at Ventura College where he continues to develop and expand the department’s current student population of over 1000 students and 26 faculty positions. This summer 2019 he will launch and serve as director of the Schwab Academy of Music, along with fourteen internationally known faculty members, in a three-week intensive program of chamber music and orchestral training, with performances every weekend. The Ventura College Music department is recognized as a leader in music education and has a comprehensive course schedule through the year providing professional instruction and leadership to students that register for courses including, theory, history and literature, Vocal, Instrumental, Jazz, Technology, and ensembles including opera, choir, orchestra, chamber, and jazz, designed to educate and enhance the knowledge of music. Started in 1925, Ventura College is an accredited two-year institution of higher education within the Ventura County Community College District. The 112-acre campus has an enrollment of 14,500 students. It serves a diverse student body through credit and non-credit offerings. The college offers associate’s degrees in 33 majors, certificates of achievement in 35 career and technical education fields and proficiency awards in 26 fields. Oxnard College will host the Environmental Justice Summit: Climate Action Now on Monday, April 29, at the Oxnard College Performing Arts Building (4000 South Rose Avenue, Oxnard). Exhibits with local environmental groups open at 5:30 p.m. Presentations, beginning at 6 p.m., will be followed by workshops at 7:30 p.m. The event is free and open to the public. Spanish, Mixteco, and American Sign Language interpretation will be provided. Oxnard College Associated Student Government leaders are hosting the summit in collaboration with 350 Ventura County Climate Hub. The summit agenda provides attendees with opportunities to learn about the benefits of sustainable living and individual and group actions to fight climate change throughout the community. Oxnard College student leaders and guest speakers are collaborating to foster a positive impact toward the fight against climate change. The summit will also feature information about Environmental Science degrees offered at Oxnard College. The Associate in Science in Environmental Science for Transfer degree (AS-T) prepares students to transfer into the CSU system to complete a bachelor’s degree in Environmental Science, Environmental Science and Resource Management, Environmental Studies, or a major deemed similar by a CSU campus. With an environmental science degree, an individual can pursue a career in a wide range of areas such as environmental, marine, nature conservation, waste, and sustainability. Environmental Physicist, Dr. Omar Clay, keynote speaker, will present, “Confronting Climate Change: Connecting the Cycles and Closing the Loops to Build a Sustainable Future.” Following Dr. Clay’s presentation, there will be short presentations from local leaders. VCCCD Trustee Chancer and City of Oxnard Mayor Pro Tem Carmen Ramirez are among local elected officials to participate in the activities. Others speakers include Tomas Morales Rebecchi, Senior Central Coast Organizer for Food and Water Watch, Adam Vega, Organizer with the Ventura County Coalition Advocating for Pesticide Safety , and Lucia Marquez, Community Organizer with Central Coast Alliance for Sustainable Economy. Oxnard College Geography and Environmental Science Professor Jim Danza, along with Kitty Merrill of 350 Ventura County Climate Hub, will moderate the event. Attendees can choose from several different action-oriented Spanish and English language workshops and learn about opportunities to make a difference in the community. 350 Ventura County Climate Hub is part of the national organization 350.org and works to create a renewable energy future by working for renewable energy and for clean air and water in our county. Inspired by the urgent need to stem the climate crisis, 350 Ventura County fights to keep water aquifers free of oil toxins, railroad lines free from oil “bomb” trains, and to save our communities from being environmental sacrifice zones-through the toxic discharges from oil production, air quality degradation from power plants, and other emitters. The word Hub in Climate Hub describes how the group connects with other local environmental groups on current issues facing our county. Meetings take place the second Thursday of the month at 6:30 p.m. at the Unitarian Universalist Church of Ventura at 5654 Ralston St. in Ventura. Ventura College students interested in careers in the medical and health fields received the first annual Allied Health Scholarship awards from the Ventura College Foundation at an April 13 ceremony at the college. A total of $93,300 in scholarships were awarded to 42 students who are currently taking or plan on taking courses in the college's Holistic Health Studies, Kinesiology Program, Paramedic Studies, Nursing Science, Certified Nursing Assistant or Emergency Medical Technology programs. "Medical careers are always in the top 25 most needed careers in California," says Debbie Newcomb, Ventura College Career Education I Dean overseeing the Allied Health curriculums. "Students in our medical programs are able to train for careers that are needed, provide at least a living wage and are satisfying and fulfilling. Local healthcare facilities count on us to make available well-trained students to fill their employment openings. We work collaboratively with hospitals, physicians and emergency services providers to ensure that we are training our students in the up-to-date skills they need." Now part of the Allied Health Scholarship umbrella, this is the 20th year that Paramedic Studies has been offered at Ventura College. Scholarships have been awarded to students in the program since its inception. Students who complete their course work receive a paramedic certification that meets state and national licensing requirements. "Scholarship funds mean students don't have to work extra shifts to pay monthly bills while in the program. This allows them to focus on their studies," says Thomas O'Connor, Paramedic Studies Department Chair. "Having scholarships that cover the costs of the program and assist with living expenses has an immense impact on student success." Clarissa Swallows from Oxnard is one of this year's scholarship winners. In fact, she received scholarships from two different donors. She was in her early 20s and a single mom when both her parents became seriously ill. She cared for them and managed their healthcare needs until they eventually passed away. "The experience made me want to jump right into school and become a nurse," says Swallow, now 38, "but I knew that I had to focus on emotional healing and building a stable life before I could manage going back to school." Eventually, Swallows did return to school and this May, she will be graduating with three Associate Degrees—in Liberal Studies Natural Sciences, Math and Behavioral Science. Her educational goals are to become a Certified Nursing Assistant, be accepted into Ventura College's Nursing program, obtain a Bachelor of Science in Nursing and eventually earn a Master's degree. "The scholarship awards will be a great help for me. All these programs have lots of expenses outside the cost of the units themselves," says Swallows. Swallows hopes to one day open a facility that provides care and resources for patients who require home healthcare as well as resources for their caregivers. Seventy percent of California nurses receive their education at a California community college. Students who complete their Ventura College Nursing courses and become licensed enjoy a 100 percent employment rate and 86 percent of students attain a regional living wage. In existence for 55 years, Ventura College's nursing program is the largest in the county, graduating the majority of the county's nursing students. "Our students were raised here, live here, go to our program and stay here to work. Many are bilingual and the first to attend college in their family," says Ventura College Nursing Program Director Sandra Melton Ph.D. "We are one of the primary suppliers of nurses to area hospitals, medical offices and clinics. Scholarship assistance to students is life changing. The amount could help pay for such items as textbooks, childcare and the high costs associated with taking the licensing exam." 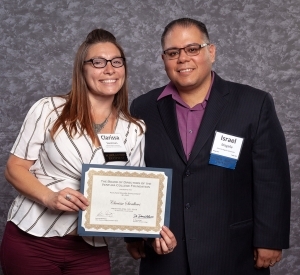 Headed for a career in nursing is scholarship recipient Edward Ramirez from Santa Paula. He is currently enrolled in the Ventura College Nursing program. "In high school, I had an epiphany that what I wanted to do with my life was to help people," says Ramirez. "I had been trying to work and go to school. These scholarships are the difference between being able to sleep at night before an exam and needing to use those late hours to study. 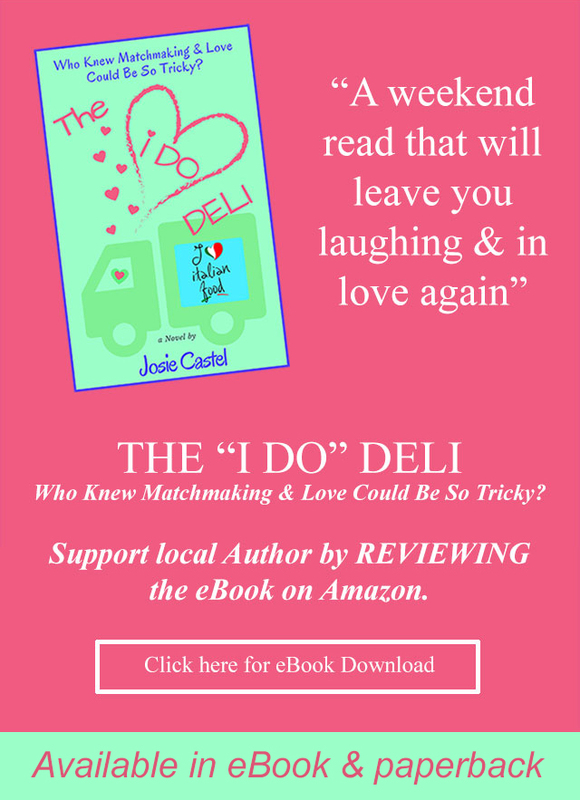 Words can't convey how much this means to me and how much assistance it really is." Ramirez will graduate at the end of this year as a Certified Nursing Assistant. He plans to commission into the Army Officer Nurse Corp.
"These scholarship students will be providing healthcare services to our communities in the near future," says Rob van Nieuwburg, Ventura College Foundation board chair. "It's exciting to see them beginning this important educational journey right here at Ventura College. They will graduate with the skills to obtain necessary, high-demand jobs. We're proud that the Ventura College Foundation can help them achieve their career goals." The 2019 Allied Health scholarship recipients are Monika Ahluwalia, Jacqueline Alvarado, Vanessa Apodaca, Jessica Aubrey, Katheryn Black, Shy Burgess, Rosa Celis-Aguirre, Christiane Craig, Devin Davis, Lauren Davis, Houda Eazizayene, Sophie Elliott, Katja Godebu, Clara Gonzalez, Renee Grimes, Brenda Guillermo, Jessica “Blueberry” Hahn, Michelle Hamm, Holley Hatcher, Anna Heaton, Zoe Holder, Steven Keller, Jeremy Kohlhepp, Aubrey Lehr, Katherine Martinez Cruz, Ana Mena, Mayra Mendez, Gabriela Moreno, Johnathan Munoz, Hector Orozco, Amber Paz, Edward Ramirez, Diego Renteria, Andrea Rodriguez, Jonathan Ruiz, Jarobi Ruley, Angela Scott, Kelly Smyth, Liliana Solis, Clarissa Swallows, Meagan Wilson and Ila Marie Woods. Established in 1983, the Ventura College Foundation provides financial support to the students and the programs of Ventura College to facilitate student success and grow the impact and legacy of Ventura College as a vital community asset. The Foundation also hosts the Ventura College Foundation Marketplace; an outdoor shopping experience held every weekend on the Ventura College campus east parking lot. For more information, contact Julie Harvey at (805) 289-6502 or jharvey@vcccd.edu or visit www.VCgiving.org. California Lutheran University Provost and Vice President of Academic Affairs Leanne Neilson and her husband, George, have donated $100,000 to establish an Emergency Support Scholarship Endowment. This scholarship will provide, in perpetuity, annual funding to students in any major or degree program at any Cal Lutheran campus location who need financial assistance to continue their education. The donation was made Wednesday during Cal Lutheran Giving Day, which raised $540,000 for various programs. George Neilson was a theatre professor for 40 years in Canada and the United States. Leanne Neilson began her Cal Lutheran journey as a faculty member in psychology in 1993 and has served as chief academic officer since 2008. 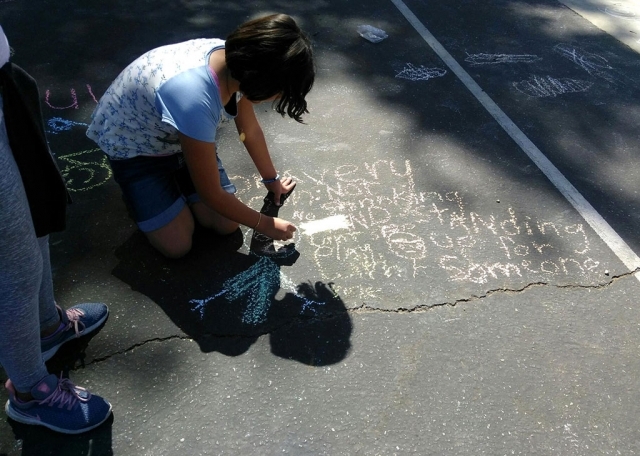 She has never been shy when it comes to speaking up for students. Her commitment is clear — provide the best learning experiences possible for the university’s nearly 4,400 students whether their major is art, theatre, business, education, psychology, religion, exercise science or something else. When her father, Morris Womack, attended Freed-Hardeman College in the 1940s, he was planning to drop out of school after a successful freshman year because he couldn’t afford to pay off his student account. A donor named Harland Hooper provided funds to sponsor a student, and the college chose Womack as the recipient that year. That one gift kept Womack in college, and he continued his education through to the completion of a doctoral degree. He spent the rest of his life talking about the impact of that donation, which Neilson said made an impression on their entire family about the importance of supporting others. After her parents left an inheritance, she and her husband decided to pass on funds to continue the spirit of helping others. Ventura College will be hosting the 2019 Ventura College Career Fair Tuesday, April 16, from 10 a.m. -2 p.m. The event will take place at Ventura College (4667 Telegraph Road, Ventura, Ca 93003) in the MCE/ MCW Quad located at the Northeast corner of the campus. There will be more than 60 local employers participating in the career fair to connect with students about job opportunities, internships and potential careers. Employers participating in the career fair include California Water Service, County of Ventura, Haas Automation, Los Angeles Sheriff’s Department and many more. The Ventura College Career Center organizes this event along with others during the school year to inspire and support students throughout their life-long career journeys. In hosting the Ventura College Career Fair, the Career Center aims to create a wonderful networking opportunity for both employers and students. “We support our students at VC to get jobs in the community so they stay within the region and contribute to the economic vitality of our County. This is a great opportunity for our employers and a transformative experience for our students,” shared Vice President for Student Affairs Dr. Damien Peña. Ventura College is an ideal location for industry recruitment across all sectors. The college offers over 70 degrees and 25+ Career Education programs that teach students hands-on practical training need to earn a certificate to start a career or to get started on a pathway toward a bachelor’s degree. Local employers are invited to register to participate in the Career Fair. The Career Center will be accepting employer registration through April 3. Employers can sign-up by going to: https://vcccd-csm.symplicity.com/events/vccareerfair. For more information, call the Ventura College Career Center at 805-289-6473. Ventura College, an accredited two-year institution of higher education, has been a part of the beautiful seaside community of Ventura, California, since 1925. 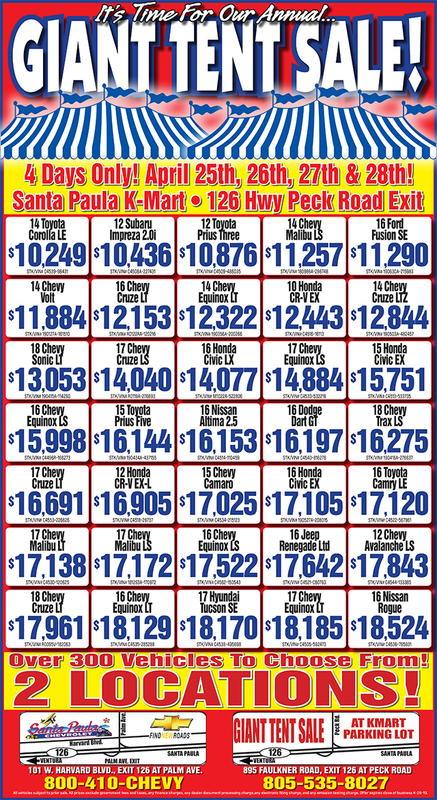 It is conveniently located approximately 60 miles north of Los Angeles and 30 miles south of Santa Barbara. The 112-acre campus, set in the rolling hills of Ventura, has an enrollment of 14,500 students. Ventura College offers Associate of Arts and Associate of Sciences Degrees in 33 majors, and Certificates of Completion and Proficiency Awards in 61 areas of study. Ventura College also has Transfer Guarantee Agreements with CSUCI, CSUN, UC Davis, UC Santa Barbara, and UC Santa Cruz. Class schedules are posted at www.venturacollege.edu. For more information, contact the Ventura College Welcome Center at 805.289.6420. The Ventura College Foundation is seeking sponsors for several Ventura College student scholarship award events scheduled for April and May. The inaugural Allied Health Scholarship Awards ceremony will be held Saturday, April 13 at Ventura College's Wright Event Center. This new scholarship event will honor Ventura College students interested in paramedic, nursing and other medical fields. The 20th Annual Phoenix Scholarship Awards will be held Thursday, April 18 also at Ventura College's Wright Event Center. The Phoenix Scholarship Program was established in 1999 by VC Foundation board members to support Ventura College re-entry students. Phoenix Scholarships are designed to assist students who have minimal or no resources to pay for their education and have chosen to return to school after a break in education. The recipients are selected based on each student’s academic goals and progress, together with their financial need. The 32nd Annual Scholarship Awards luncheon will be held Saturday, May 4 at the Crowne Plaza Ventura Beach. All currently enrolled Ventura College students have access to just under 300 different scholarships through the VC Foundation. 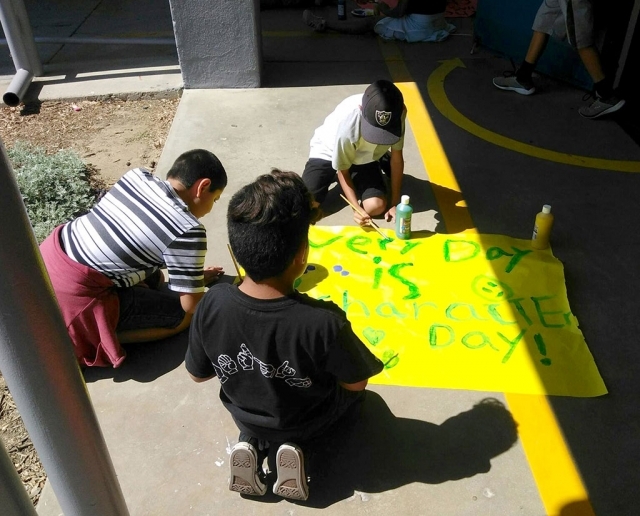 "These events are a way to show our students how much the community appreciates their commitment to their education," says Rob van Nieuwburg, Ventura College Foundation board chair. "Our sponsors' support makes these events truly memorable for these students who have worked so hard to succeed despite sometimes daunting odds." Sponsorship opportunities range from Gold Chest sponsors ($500) to presenting Black Pearl sponsor ($10,000). 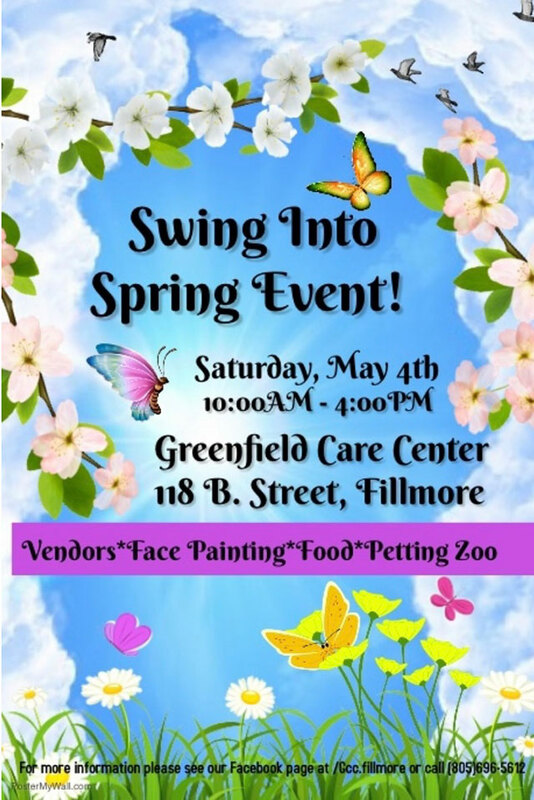 For more information, contact Gerry Pantoja at 805-289-6158, gpantoja@vcccd.edu. 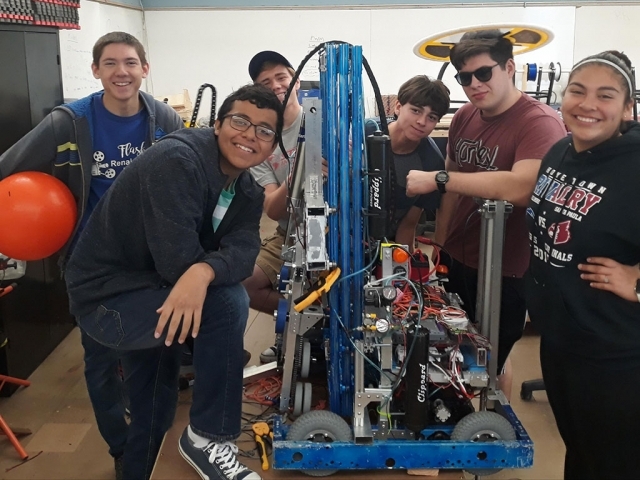 The Fillmore High School Flash Drives team will compete at the Ventura Regional Competition for FIRST Robotics held at Ventura College on March 27th – 30th. Photo courtesy Jeremiah MacMahon. Greetings robot fans! For the third, time the 20 members of the Fillmore High School Flash Drives journeys to Ventura College for the Ventura Regional Competition for FIRST robotics. This exciting tournament features 42 teams from around the world facing each other in randomized three vs. three matches. Teams earn ranking points for scoring and performing tasks in a space exploration themed environment. This celebration of the 50th anniversary of the moon landing requires teams to build robots from scratch using engineering design principles and power tools for machining. The team has 6 weeks to create a functioning, mobile, robot that can place “cargo”, 13” rubber balls, up to 8 feet in the air on a rocket and “hatches”, 20” discs, to the same height. Additionally, the robot has to survive a 6” drop at the beginning of the match and must climb a 19” platform at the end of the match. The field is the size of a basketball court and high speed, full contact between robots is a feature of the event. The student-centered competition is not just robotics. The team is responsible for and learns valuable employment, public relations, finance, and mechatronics skills. Students also have the opportunity to earn scholarships for trade schools and college through FIRST. Locally, the Gene Haas Foundation provides Fillmore High Students scholarships for futures in machining, whether the goal is college or a trade skill. The program is a fantastic blend of practical hands on skills and academic learning. Corporate charisma, managing your manager, and the business climate in Santa Barbara and Ventura County are among the topics on the menu Tuesday, March 26 during CSU Channel Islands’ (CSUCI) inaugural “Taste of the MBA” event. The mixer, followed by a moderated panel, will be held from 5:30 to 7:30 p.m. at the Alhecama Theatre at 215-A, E. Cañon Perdido Street in Santa Barbara. Another “Taste of the MBA” will be held on April 8 from 6 to 7 p.m. in Room 2515 of the Bell Tower on the CSUCI campus. This event will feature another selection of topics and speakers. Both events are designed to let prospective students in both Ventura and Santa Barbara counties know what a master’s in business administration (MBA) can do for a career and how the CSUCI MBA program can help students reach their goals. The public is welcome at both events. The Santa Barbara event will begin with light refreshments and networking followed by a panel of CSUCI faculty who will discuss hot topics in business and marketing. “How to Manage Your Supervisor,” “The Art & Science of Being Charismatic” and “How the Real Estate Market is affected by Economic Trends in Ventura & Santa Barbara” will be discussed by the panel, which will be moderated by KZSB “AHA for Education” radio host Neil Kreisel. “CSUCI is an important asset to Santa Barbara and we want everyone in town to understand how great an opportunity it is to get a first-class MBA locally,” Kreisel said. The program includes evening and online classes as well as classes at the main campus in Camarillo and a campus in Goleta. Assistant Professor of Economics Miguel Delgado-Helleseter, Ph.D, will discuss how fluctuating economic trends affect the real estate market and vice versa — economic data MBA students will learn how to interpret. The panel for the “Taste of the MBA” event on April 8 event on the CSU campus will be moderated by MBA Alumnus Ramesh Lori. MBA instructor Doug Lane will discuss how he started his career as a lab technician at a small hospital in Chico and never had an interest in business until the day his boss asked him to approach a CEO about a sale of some technical equipment. After Lane earned his MBA, it held the key to all kinds of opportunities. “I realized having a strong science background with an ability to understand business is a phenomenal thing,” Lane said. Lane and others involved in “Taste of the MBA” hope to inspire prospective students interested in entrepreneurship, but also those in various fields from science to engineering to performing arts to consider the value of pursing an MBA at CSUCI. California Lutheran University is launching a film and TV major in fall in response to strong student interest in related classes, activities and careers. The university has provided communication majors with the option of pursuing an emphasis in film and TV for more than a decade, and the classes are consistently full with long waitlists. Each year, many students produce films for a screening festival and a 48-hour competition on campus and participate in the university’s TV and Cinema Production Club and Digital Cinema Guild. The new program will more fully prepare students for the field with the addition of classes in advanced television production, postproduction and distribution, and introduction to film studies. Film and TV majors will also take research methods and capstone classes and complete internships or independent studies. Film and TV majors will organize the Cal Lutheran Annual Film Festival, now in its 24th year. Students will have the option of pursuing an emphasis in film studies or production. A minor in film and TV will also be offered. The program is interdisciplinary, incorporating classes already offered by the communication, English, languages and cultures, music, multimedia, political science, and theater arts and dance departments. Strong interest and the campus’ proximity to Hollywood have led many students to go into the field even without a dedicated major. Cal Lutheran has developed internships with ABC, CBS, Disney, Fox Sports, KTLA and other companies based in Hollywood. Alumni have gone on to work as camera operators, cinematographers, directors, editors, executives, managers, producers and writers for companies including Bunim-Murray Productions, ESPN, Netflix, the NFL and Participant Media. Several films produced for the campus’ annual festival have won awards at other festivals. A Cal Lutheran team’s production was nominated for the “Best of” award during the Los Angeles 48-Hour Film Holiday Project 2017. Grannis and two of his students produced a documentary on California’s historic drought that was screened at a sustainability conference in Maryland and during last year’s Arbor/Earth Month celebration in Thousand Oaks. 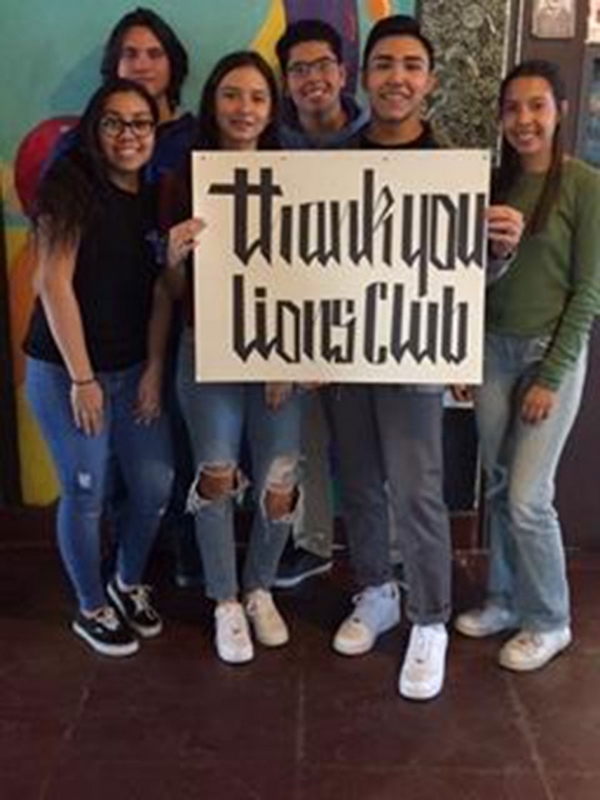 We would like to thank the Lions Club of Fillmore for their continued support of the arts programs at Fillmore High School. Their generous donation to the upcoming April Arts show will allow us to continue putting on this event. On behalf of the Visual and Performing Arts Department at Fillmore High School, thank you! Photo courtesy Rosalind Mitzenmacher, Fillmore High School, Visual & Performing Arts Dept. Chair. 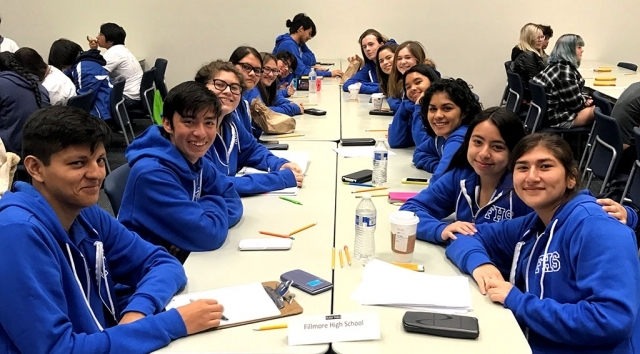 Students from 20 different local high schools will face off in a battle of academic skill in the 2019 Ventura County Academic Decathlon, which begins Saturday, January 26 in Oxnard. The competition continues on Saturday, February 2 and the awards ceremony takes place on Monday, February 4. The “Super Quiz,” a Jeopardy-like competition that tests students’ knowledge in a variety of academic subjects, is open to the public on February 2 as is the awards ceremony. Media coverage is welcome for all events. 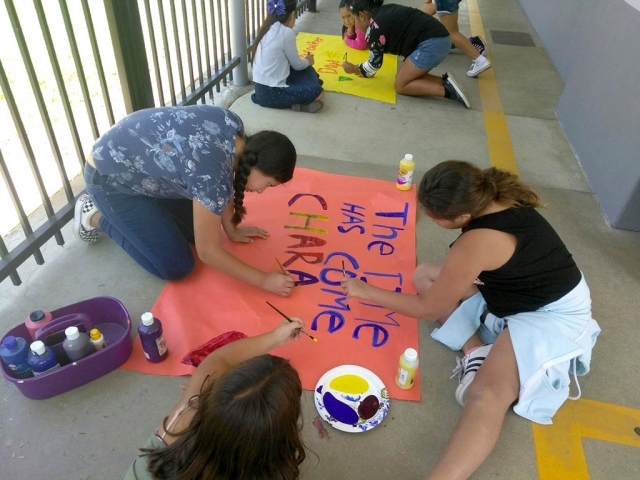 The Academic Decathlon, coordinated by the Ventura County Office of Education, consists of ten events: essay writing, speech, interview, art, economics, language and literature, mathematics, music, science and social science. The theme of this year’s competition is “The 1960s: A Transformational Decade.” The logo artwork for this year’s Academic Decathlon was created by Sophia Peate, a student at La Reina High School in Thousand Oaks. High schools fielding teams this year are: Adolfo Camarillo High School, Buena High School, Calabasas High School, Channel Islands High School, Fillmore High School, Hueneme High School, La Reina High School, Moorpark High School, Newbury Park High School, Oak Park High School, Oxnard High School, Pacifica High School, Rancho Campana High School, Rio Mesa High School, Royal High School, Santa Susana High School, Simi Valley High School, Thousand Oaks High School, Ventura High School and Westlake High School. The Academic Decathlon is a unique opportunity for high school students in Ventura County to compete against like teams of students countywide. The top Ventura County team advances to the statewide Academic Decathlon. A California team then participates in the United States Academic Decathlon, which is the premier scholastic competition for students in America from both public and private high schools. Ventura County teams have made it to the national competition six times, placing second in 2000 and 2002, and taking first place in 1999, 2003, 2008 and 2009. A particularly unique aspect of the event is that it is designed to include students from all academic backgrounds. A team consists of nine full-time students from the 9th through 12th grades from the same high school. Each nine-member team is comprised of three students whose grade point average falls into the “A” category, three students in the “B” category and three students in the “C” category. Congratulations to David Dunham! 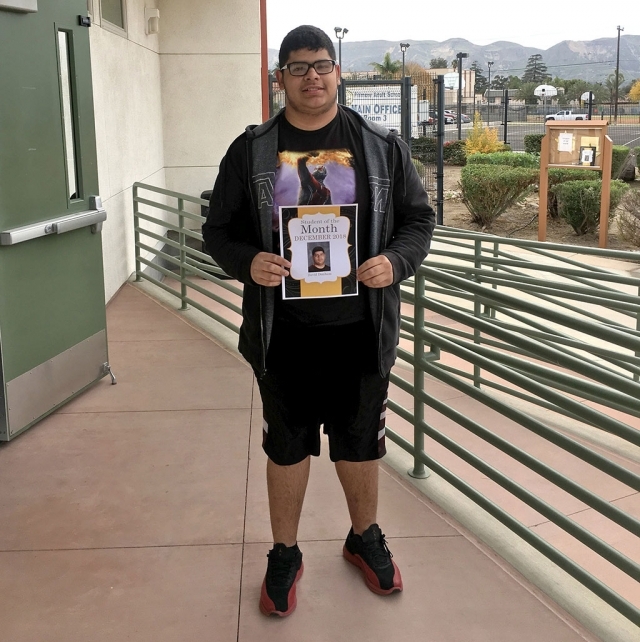 David is Sierra High School’s December 2018 Student of the Month. David is a junior at Sierra High School. His favorite subject is History. Next year, David would like to return to Fillmore High School to complete his senior year. After graduation, he would like to attend a community college. For fun, he likes to go to the park with his cousin. His favorite sport is soccer. David likes Barcelona; his favorite player is Lionel Messi. David shared that his teachers at Sierra High School are helpful and supportive. He will miss the school when he returns to Fillmore High School. Congratulations David! The Ventura College Foundation has received a $2 million donation from the Helen Yunker estate. Honoring Yunker's request, the donation will establish endowments for the Ventura College Music Department and the Opera and Musical Theatre program. The gift will be split evenly between the two. "Helen has been a fixture in Ventura since moving here in 1958," says Dr. Damon Bell, president of Ventura College. "She was a generous volunteer, supporter and donor to many local organizations in the areas of education, medicine, youth, theater and the arts. We are very grateful to Helen for her contributions to our art, heritage and culture at the college and in the community." Yunker, who died in July at age 96, served on the Ventura College Foundation Board for 18 years. This past May, the Foundation Board of Directors honored her service and leadership by naming her as a Board Emeritus Member. Over the course of almost three decades, Yunker donated more than $945,000 to the Ventura College Foundation. She had taken a special interest in the Opera Workshop for many years and was known to do a little singing and dancing of her own. The Ventura County Ballet, accompanied by the Ventura College Symphony Orchestra, paid tribute to Yunker at The Nutcracker performances held in December at Ventura College in the Helen Yunker Auditorium. For eight years and well into her 90s, Yunker had a cameo role as the maid at the beginning of the yearly production. "Helen's gift will enable students who share her passion for music and theatre to express themselves and thrive in a creative setting," says Anne Paul King, executive director of the foundation. "It's a wonderful legacy." Established in 1983, the Ventura College Foundation provides financial support to the students and the programs of Ventura College to facilitate student success and grow the impact and legacy of Ventura College as a vital community asset. The Foundation also hosts the Ventura College Foundation Marketplace; an outdoor shopping experience held every weekend on the Ventura College campus east parking lot. For more information, contact Anne Paul King at (805) 289-6461 or aking@vcccd.edu or visit www.VCgiving.org. The FHS Academic Decathlon team competed at the Ventura County Academic Decathlon Scrimmage on Saturday, December 8th. The Flashes placed 2nd overall in their 22-team division, placing 1st in both the Art and Music categories. Senior Sebastian Lidikay placed in the top 10 in his field (out of 88 students) followed by senior Michelle Higuera who placed 15th. 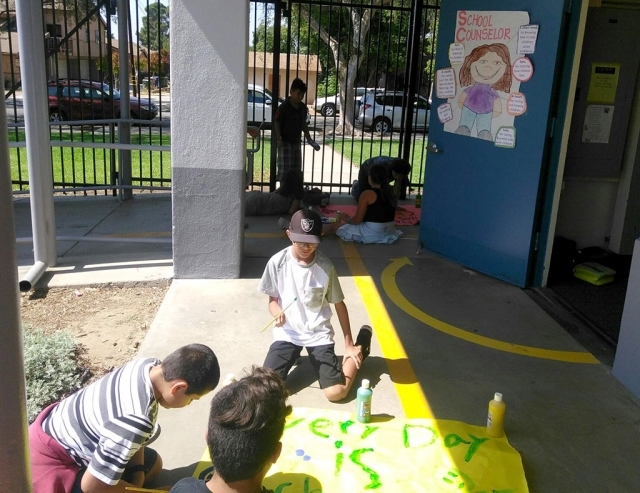 Character Day is an annual global day that brings together millions of people of all ages in schools, classrooms, companies, homes — anywhere people already gather — to engage in conversation and action around character (strengths like empathy, grit, gratitude, creativity, and leadership). This year was the fifth annual (September 26, 2018), and there were over 200,000 groups participating — that’s 15,000 schools and over 4 million people. San Cayetano was part of that celebration. 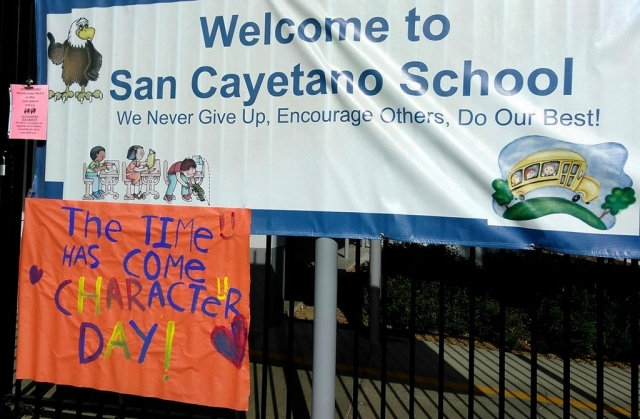 This year’s activities were led by San Cayetano School Counselor Mrs. Nancy Arevalo and the ASB students of San Cayetano students focusing on the qualities it takes to be a person of outstanding Character. 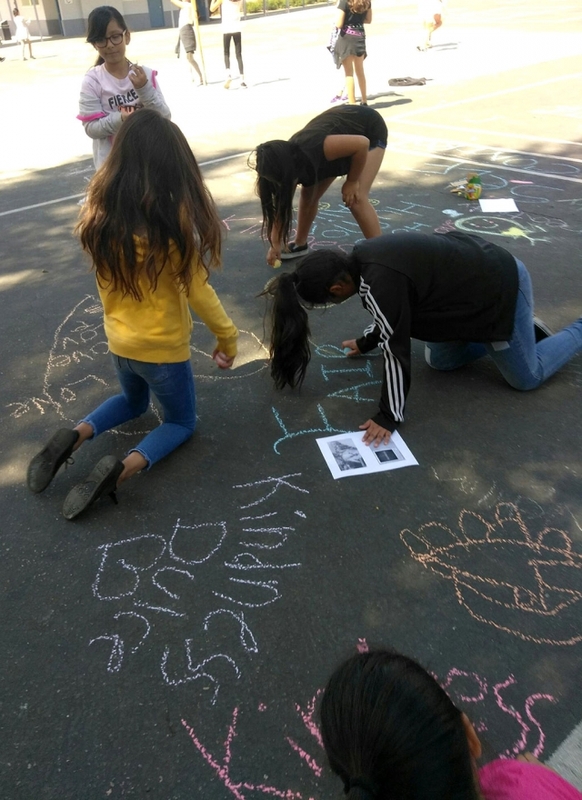 Pictured above and below are students making posters and drawing words of kindness in chalk all through the playground. The Board of Trustees of the Ventura County Community College District held its annual organization meeting Tuesday, Dec. 11, 2018, and welcomed new members Gabriela Torres, Area 5 and Josh Chancer, Area 1. Chancellor Gillespie administered the oath of office and newly elected Board Members, including re-elected Dianne B. McKay representing Area 2, were congratulated by staff and faculty during a brief reception. Trustee Chancer’s priorities are to work with the Board and Chancellor to create a common sense budget and ensure that financial and technical resources make it into classrooms. “My hope is that we can increase student enrollment and support the continuing development of VCCCD as a sustainable, equitable, and accessible institution,” offered Chancer. He is a resident of Ventura, former Ventura College student, full-time social science teacher at Oxnard Union High School District, and current California Lutheran University part-time faculty member. 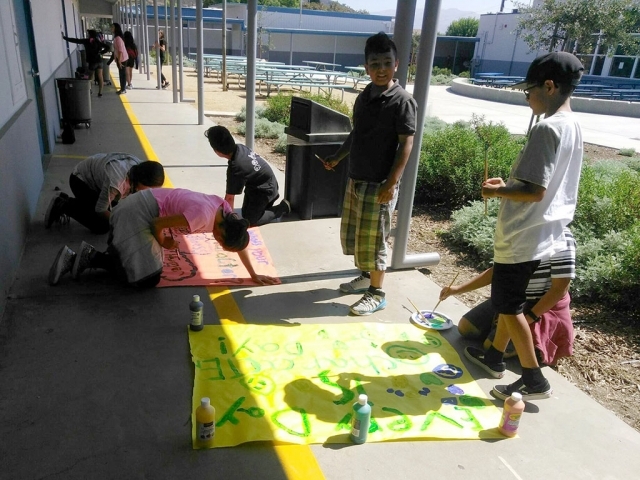 Trustee Torres is committed to social justice issues and serving students. “It is important to understand the needs of our students, staff, and faculty,” stated Torres. She is an Oxnard resident, a counselor for the Oxnard Elementary School District, and looks forward to working with community college trustees to better serve the needs of all students. Trustees elected Dianne B. McKay to serve as Board Chair; Larry Kennedy was elected Board Vice Chair. The Chair and Vice Chair will serve one year. Chair McKay, serving Area 2, was first elected in 2010 and re-elected in 2014 and 2018. 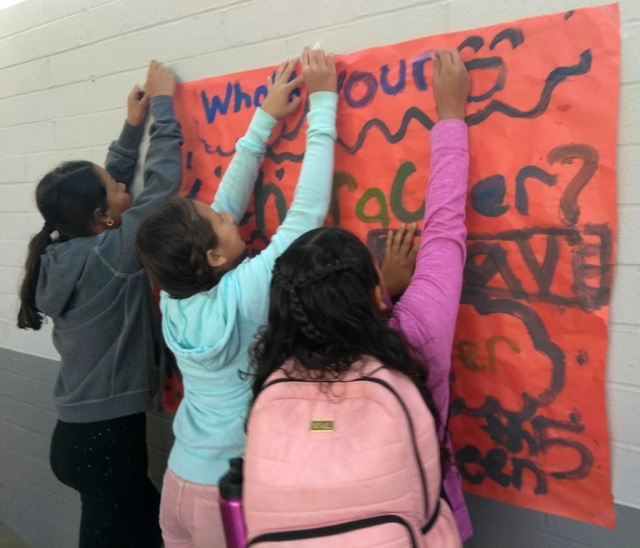 “The Board is committed to increasing access for all of our students and we want to make sure that we provide a solid foundation supporting their success,” stated McKay. Since 2012, McKay has served on the Community College League of California Advisory Committee for Educations Services that plans training and events for new and continuing trustees throughout the state. She is a strong advocate for dual enrollment to increase opportunities for high school students to not only earn college credit, but also begin a path to higher education or certificate training and a living wage here in Ventura County. Chair McKay works throughout the county with elected and appointed officials to increase awareness about partnerships and opportunities to better serve the community. Dr. Gillespie, Chancellor of the District that includes Moorpark, Oxnard and Ventura colleges, Ventura College East Campus in Santa Paula, and the District Administrative Center in Camarillo, will continue his focus of bringing quality education to students throughout Ventura County, increasing access and student success, and ensuring the viability and fiscal sustainability of the institutions. “I look forward to working with the Board to implement our strategic goals and continue to bring quality and relevant higher education to our students and communities,” commented Gillespie. The Ventura County Community College District is a member of the 115-campus California Community College system, and serves more than 32,000 students annually. The District’s three colleges- Moorpark, Oxnard and Ventura- offer programs in general education for degrees and certificates, transfer to four-year colleges and universities, career technical education, and provide opportunities to engage in co-curricular campus activities. For more information, please visit www.vcccd.edu. Moorpark College Performing Arts is pleased to announce its first annual “Holiday Spectacular,” presenting a holiday celebration that features the combined efforts of the College’s Theatre Arts, Music, and Dance programs. This production will feature the talents of more than 50 student actors, singers, musicians, and dancers—it is sure to be one of the highlights of this holiday season. Proceeds from the production will benefit the Performing Arts Center and its educational programs. Moorpark College’s first annual Holiday Spectacular will feature bright lights, colorful costumes, and holiday entertainment with a side of musical comedy thrown in as well. 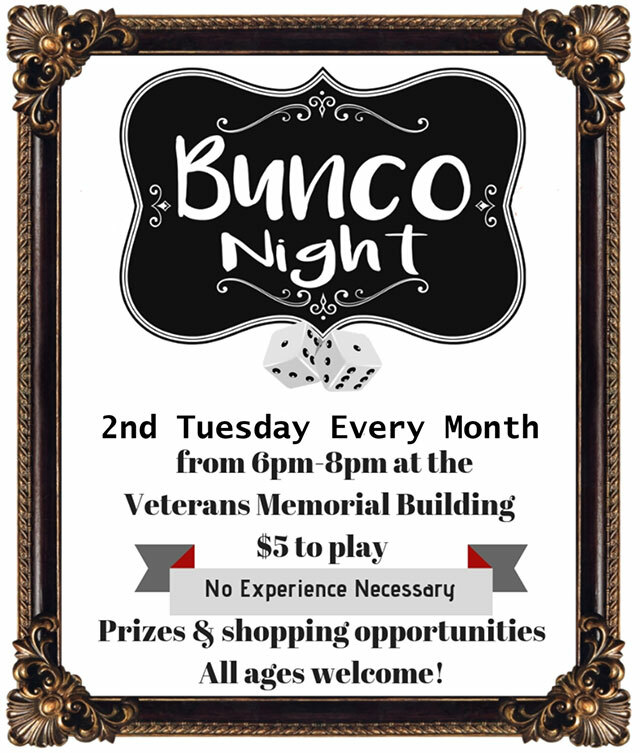 This new event is sure to become a regular part of the community’s holiday celebrations. Music, Dance, and Theatre Arts students will all perform classic material that embraces a range of holiday traditions, including everything from full choral presentations to excerpts from A Christmas Carol. The Moorpark College Holiday Spectacular” will run Friday, December 14th and Saturday, December 15that 8:00 p.m. with two matinee performances on Saturday, December 15th and Sunday, December 16th at 2:00 p.m. Tickets are now on sale for both the “Holiday Spectacular” and the Moorpark College Foundation’s VIP Reception and may be purchased through the Moorpark College Performing Arts Center Box Office at (805) 378-1485 or online at www.moorparkcollege.edu/pac. Purchase tickets online to save 20%. Moorpark College is located at 7075 Campus Road in Moorpark, 93021. MOORPARK COLLEGE, one of three colleges in the Ventura County Community College District, was founded in 1967. It is set on 150 beautiful acres, nestled in the foothills on the southeastern flank of Ventura County, about 40 miles from UCLA, and approximately 75 miles from UC Santa Barbara. It is also a short drive from CSU Northridge, CSU Channel Islands, and California Lutheran University. Moorpark College was recognized in the Huffington Post in March of 2015 as the fourth-best community college in the nation. It has an excellent reputation for university transfer preparation, and its signature career/technical programs include nursing, radiation technology, biotechnology, and exotic animal training, which incorporates the world-renowned America’s Teaching Zoo. The college also offers a dynamic range of classes and programs in the visual and performing arts, and its pristine athletic fields and mild climate provide an excellent home for student athletes.